It is true that there are many squares in the eternal city. However, Piazza Navona in Rome outshines them with its unique ambiance both during the day and the night. 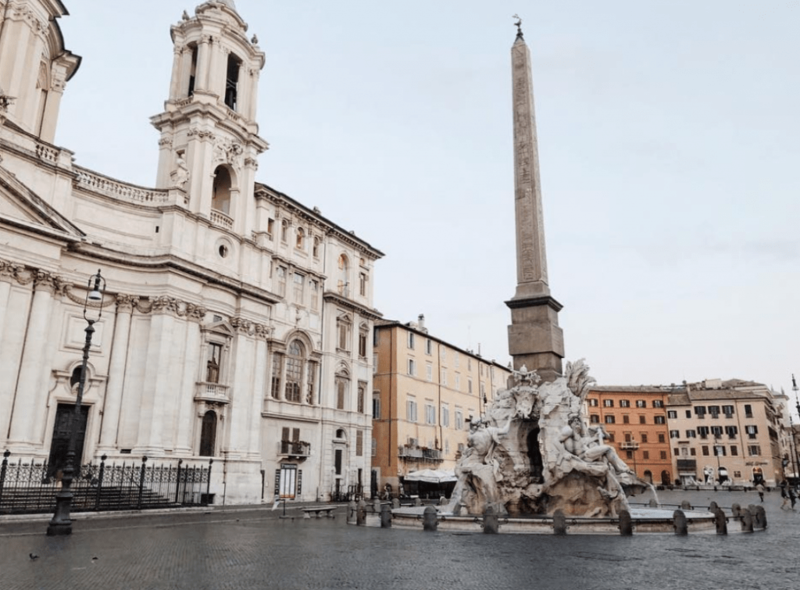 So what to see at Piazza Navona? Artists come down here to paint, you’ll see street musicians play music around the corner and you might even catch a pantomime show next to Fontada dei Fuimi. Between the small streets around the square, you can find a nice cozy spot to have a dinner or you can drink an espresso while enjoying eclectic atmosphere. 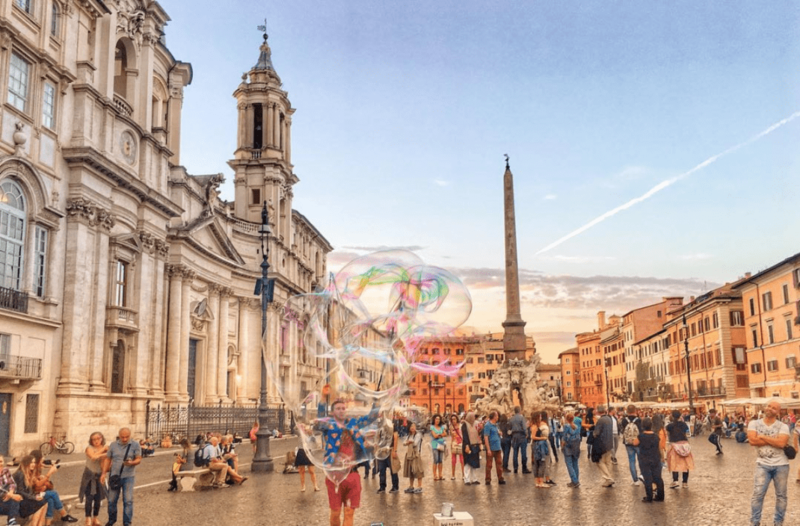 Piazza Navona is a wonderful place to spend a couple of hours to relax and to simply enjoy a fun ambiance. Although, it is very busy all times during the day, it is one of most magnificent squares of Rome. Come here for some beautiful fountains, Baroque style architecture and amazingly vibrant settings! You can visit Piazza Navona all times during the year. During the night, it gets very crowded and restaurants are full of people. If you want to avoid crowds, come here during the low season which is early fall and early spring. You can visit all around Piazza Navona in 2-3 hours. If you join a tour, it will probably take around 3 hours. However, if you don’t have enough time, seeing the famous fountains and drinking a coffee in the square would be enough as well. You can wear anything you want to visit. If you are going to restaurant around here, you might want to put on some smart casual dress. Check the churches’ dress code if you want to enter as well. 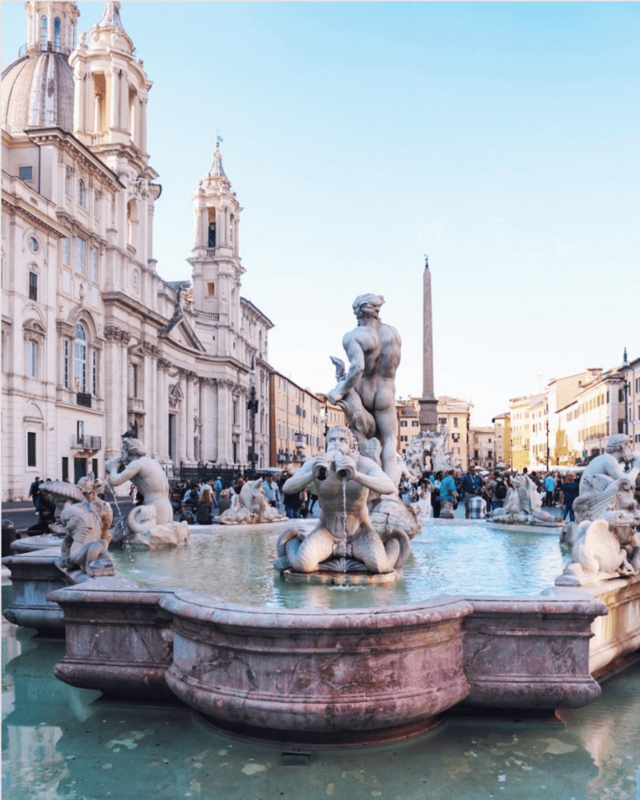 There are three fountains utterly famous in Piazza Navona: Fontana del Nettuno, Fontana dei Fuimi and Fontana del Moro. The most famous of all is Fontana dei Fuimi, which means the fountain of four rivers, is the masterpiece of Bernini. The fountain represents the four rivers from four continents; Ganges River from Asia, Nile from Africa, Rio de la Plata from South America and Danube River from Europe. Fontana del Moro and Fontana del Nettuno are a result of collaborative work of different artists including again Bernini, G. Della Porta and some others. 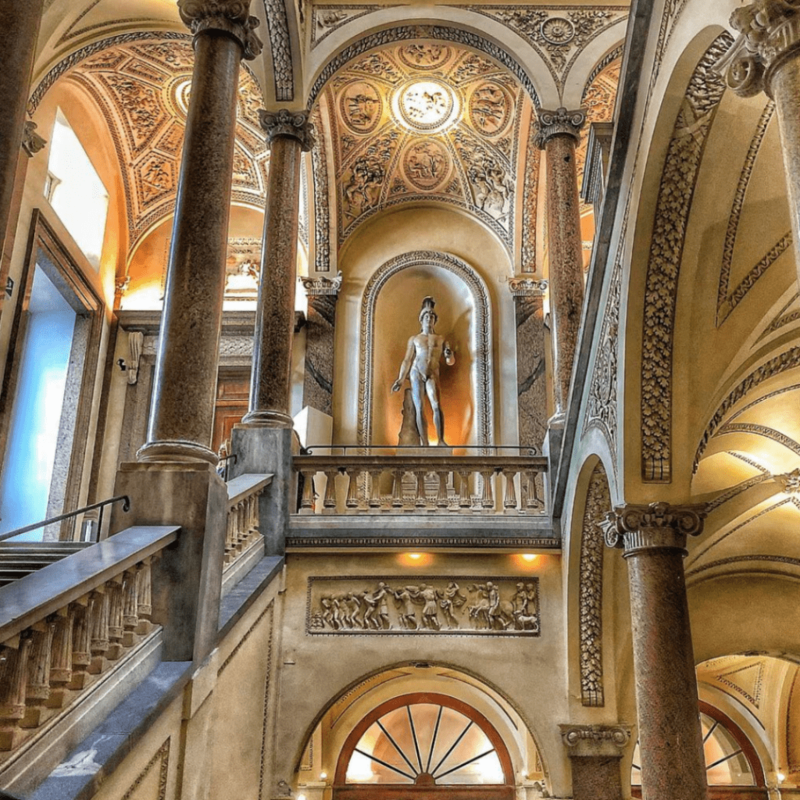 Museo di Roma is the first civic museum founded for Rome, in Rome! At first, it was planned to be a museum dedicated to the history of Rome. However, by time it changed its structure a bit. Nowadays, it is possible to visit different collections about Rome’s historical attractions but also there are exhibitions held as well which changes each season. There is a bar on top of the building with a really nice of Piazza Navona which you might enjoy an aperitivo after your visit to the museum. Sant’Agnese in Agone is located right behind the Fontana dei Fuimi. 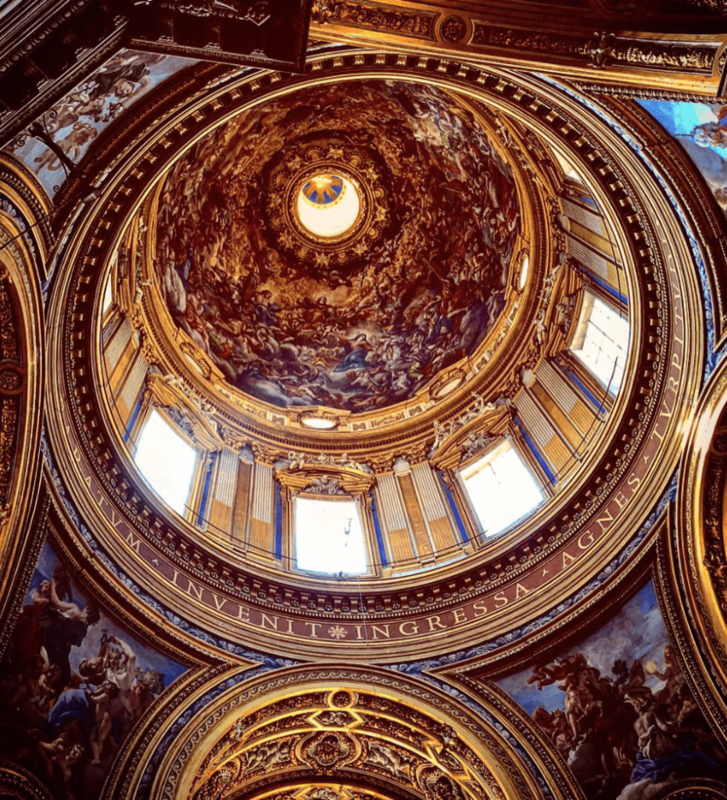 The church is one of the most beautiful representative of Baroque style architecture in Piazza Navona. The name of the church comes from the old virgin martyr Santa Agnese – or St. Agnes in English whom lived around there in the first century. The dome and its ceiling show a marvelous work and craftsmanship. Definitely stop by to see the unique Baroque ambiance here.